Joell Ortiz is a Puerto Rican American rapper from Brooklyn, New York formerly signed to Dr. Dre's Aftermath Entertainment record label. He was featured in the Unsigned Hype column of the March 2004 issue of The Source Magazine and was also selected as Chairman's Choice in XXL Magazine. During the same time Joell also went on to win the 2004 EA Sports Battle which earned his song Mean Business a spot on the NBA Live 2005 soundtrack. The same year he was offered a contract to Jermaine Dupri's So So Def label. The deal quickly went sour which caused Joell to start a beef with Jermaine. Joell has since collaborated with KRS-One and Kool G. Rap as well as working on his first album on Aftermath. Joell will release his street album called "The Brick (Bodega Chronicles)" April 24 on Koch Records. 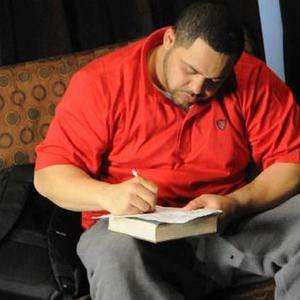 The album was recorded while Joell was trying to get signed and going through some tough times personally. Even though he is signed to Aftermath Entertainment, Dr.Dre allowed him to release the street album on Koch Records. The Brick will feature productions from DJ Premier, Showbiz, The Alchemist, Domingo, Ho Chi from Killahertz Productions, Lil' Fame of M.O.P., Novel, and Moss, among others. Guest spots will include Big Daddy Kane, Styles P, Big Noyd, M.O.P, Akon, Immortal Technique, Grafh, Ras Kass, Stimuli, and Novel.